The fact that FLOS consistently churns out the best modern lamps and has so many chart-toppers is no surprise, given our longstanding association with the greatest international lighting designers. From suspended beauties to adorable tabletop pieces, and from alluring upright charmers to enchanting ceiling marvels, you will be spoiled for choice. Here’s a sneak peek into the best designer lamps that people have loved! 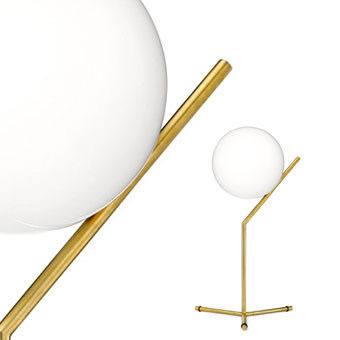 This contemporary light was designed by Michael Anastassiades in 2014 and consists of a mouth blown opaline sphere held up by a brassed steel frame. The opaline glass diffuses a tantalizing balance of light to any space. There is a dimmer on the power chord. The AIM is a form of modern pendant lighting that is constructed from a varnished aluminum sheet with a photo-etched optical polycarbonate shade and an internal reflector of a photo-etched ABS. 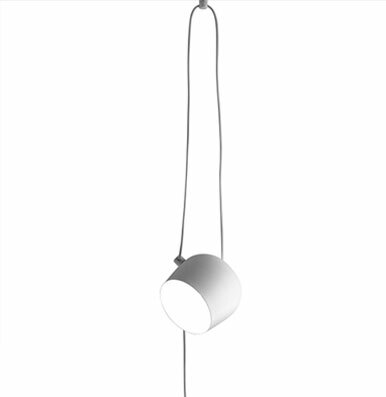 The cable can be adjusted to allow the fixture head and light distribution to be aimed. 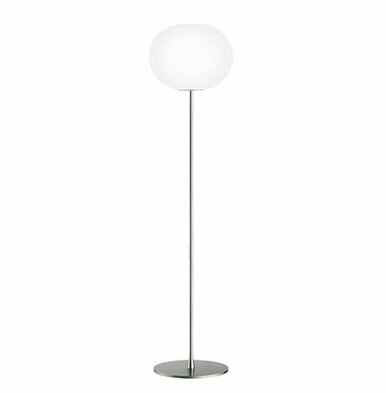 The Glo-Ball F lamp was first designed in 1998 and is part of the Glo Ball Series by Jasper Morrison. Maximum diffusion of light is achieved through a simple concept that has both functional and creative appeal. HIDE S indirect-light wall lamp. Body in presso-fused aluminum, with shiny finish. Injection printed diffuser in photo engraved PMMA. Optional enhancer trims available in various versions: colored PMMA, panels with a choice between noble wood, metal or photographic images. Injection printed wall attachment in PA66. The Kelvin LED Green Mode is part of the Kelvin LED Family. First designed in 2009 it was later upgraded to the Kelvin LED Green Mode I in 2013. 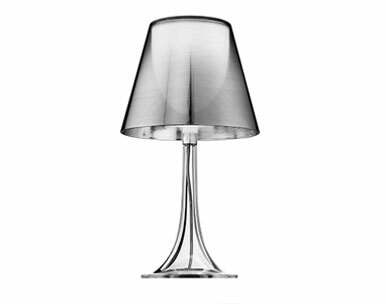 The MISS K Table Lamp has a fully transparent, injection-molded PMMA (polymethylmethacrylate, UL-94 HB) frame. The internal diffuser is an opal, injection-molded polycarbonate (UL-94 V0). The transparent polycarbonate outer diffuser is internally finished with the high vacuum aluminization process. The word “Parentesi” is Italian for “brackets” or “parenthesis”. This modern pendant lamp is made up of a nickel-plated shaped tube on a ceiling to floor steel cable. 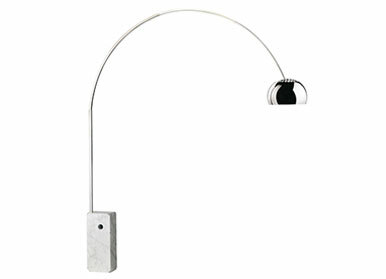 This allows the lamp to move vertically by sliding. The head fixture is an injection-molded black elastomer that comes with a switch. 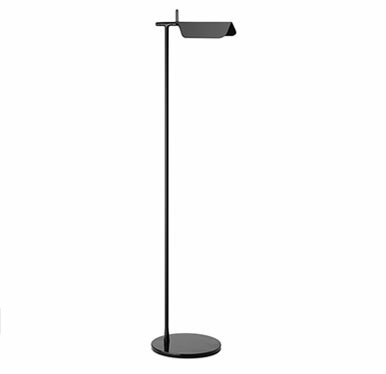 TAB F floor lamp has an adjustable head. The body is painted with pressofused aluminum. The multi-led diffuser is specially designed PMMA which specifically avoids the “multi–shadow” effect and dazzle. The head of the Tab F has a ±45° rotation capability. 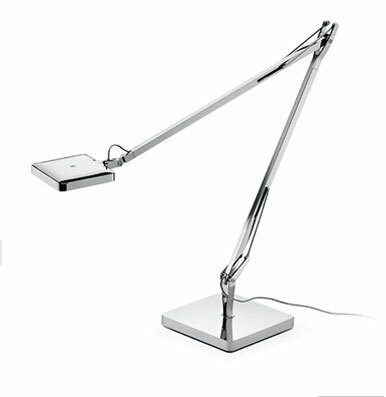 TAB T LED table lamp’s body is painted with pressofused aluminum. 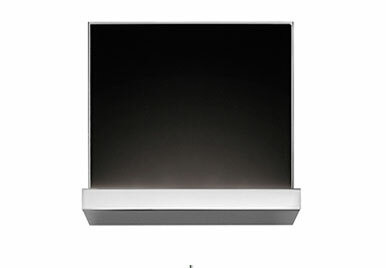 The multi-led diffuser is specially designed with PMMA to avoid the “multi-shadow” effect and dazzle. The head has a ±45° rotation. 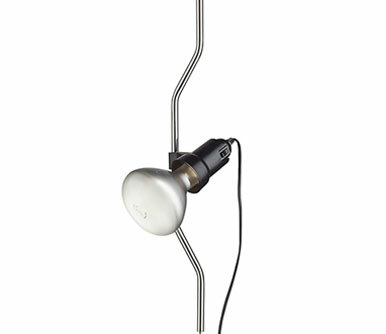 The table lamp is non-dimmable and comes with an on-off switch on the cord. 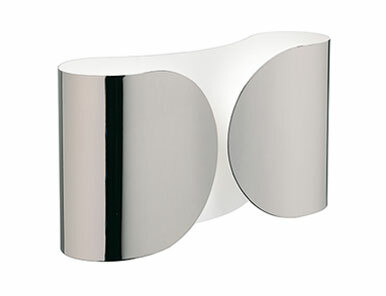 Designed by Marcello Ziliani in 2005, the TILEE is an elegant modern design wall light.The TILEE has a die-cast Zamak body with a chrome finish. Its diffuser is flashed, blown glass in white. 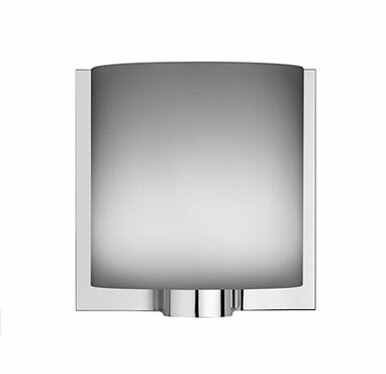 The TILEE wall sconce emits diffused light.